Join the Guardians of the Galaxy, the X-Men, the Avengers, and more for free. Hello! This is Ben Gilbert, Lead Designer for Marvel Heroes Omega. 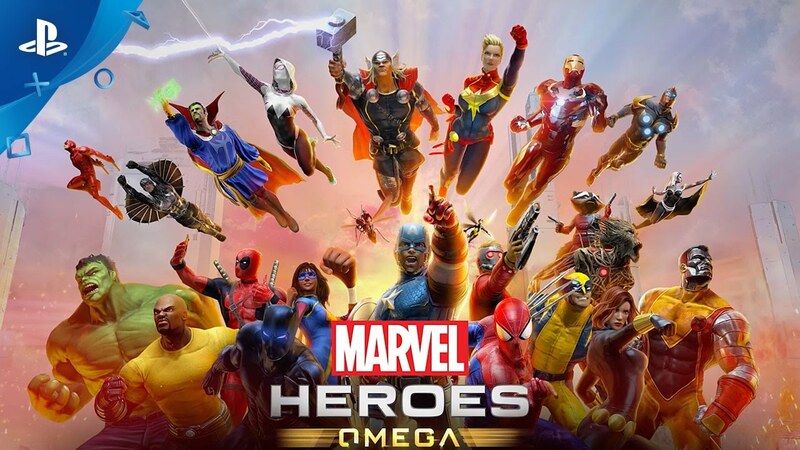 I’m very excited to announce that the open beta for Marvel Heroes Omega on PlayStation 4 begins tomorrow on May 23! Soon, players around the world can become the Hero! Play as Spider-Man, the Avengers, the Defenders, the X-Men, the Guardians of the Galaxy, and so many more. 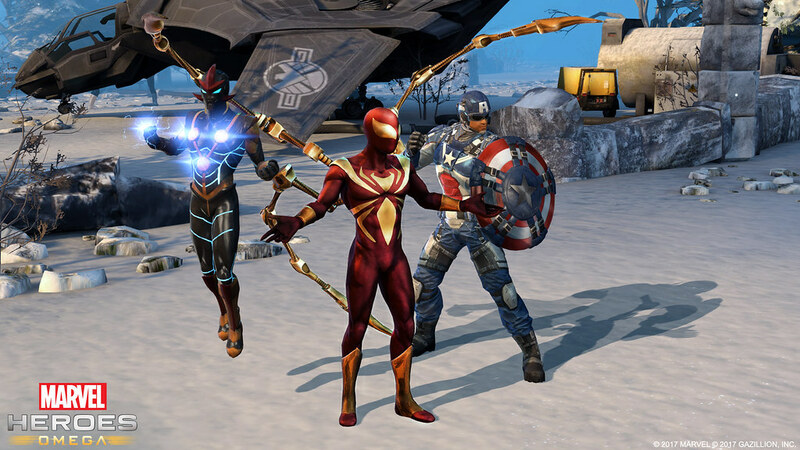 We’ve heard so many stories from our closed beta players about how much fun they’ve been having playing Marvel Heroes Omega couch co-op with friends and family. 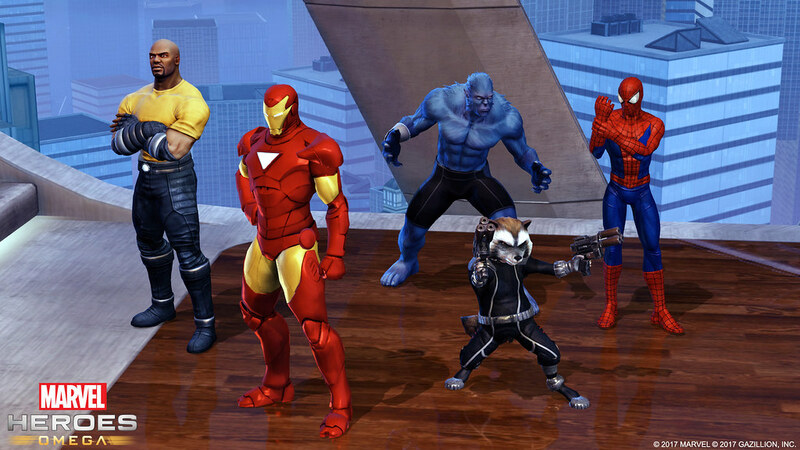 It really hearkens back to those classic Marvel co-op games from days past and we hope you enjoy it, too. Can’t wait till May 23? It’s still not too late to grab a Founder’s Pack to play right now. There’s a variety of Packs to choose from at PlayStation Store along with a special War Machine Founder’s Pack exclusively for PlayStation Plus members. 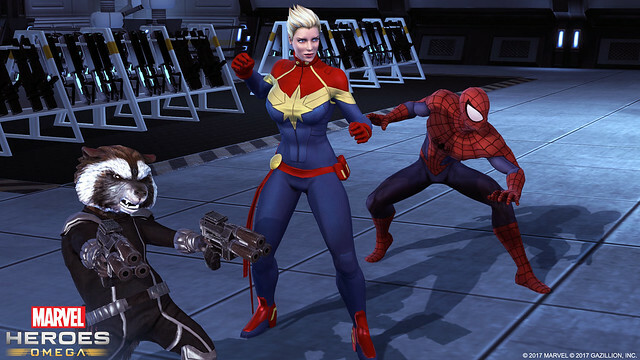 On top of that, tomorrow’s May 23 open beta launch is really just the beginning for Marvel Heroes Omega. We have tons of plans for new content, fun events, and even more fan favorite Heroes we plan to introduce to the game over time. The road ahead is long and promising. But enough talk! Check out our open beta launch trailer for Marvel Heroes Omega and get hyped for tomorrow’s release! Can I choose to play entire game single player and multiplayer or is the only single player campaign? You’ll always be connected to other players so you can play this game entirely with your friends or play by yourself. It’s up to you. Been playing all weekend and it’s great. Give me Marvel Ultimate Alliance 3. These guys didn’t even make the Ultimate Alliance games, bud. Are they wiping the servers again, or will my progress carry over? No more wipes, all your progress stays with you from here on out! Thank you for that info Trendy! Have been very excited for the game but passed on the closed beta for that reason. Pretty pumped to check out the MHO world! Is this open world or no it dont look like it is it looks like marvel ultimate alliance which were great games but ill probably download the beta tomorrow to try it out. There are hubs and zones that you defeat enemies in. It’s very much like many ARPGs out there. 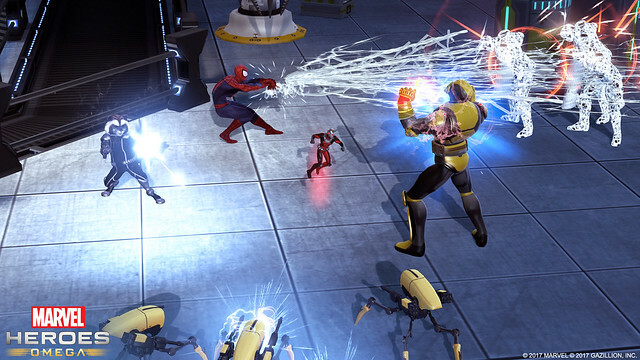 If you’ve played Destiny or Diablo III, Marvel Heroes has large environments to explore, defeat enemies, and take on public quests like in the patrol areas those games have. is ghost rider and moon knight in this? YES!!!!! thanks for the info. Do i need PlayStation plus to participate the open beta? what does the founders pack give you that is not included in the Beta? Since the game is out of Closed Beta and soon to be Early access, it gives you the same content. If you purchase the Avengers, Guardians, X-Men, Deadpool, and Spider-Man Founder’s Pack… you get access to timed-exclusive items like the Spider-Man Symbiote Costume and the Iron Fist Hero. Both should available in same fashion after the exclusive goes away. What time does the open beta go live? I’m on the east coast. The real question is when will the dozens of costumes missing be added. There isn’t even a place to download this at on the playstation store unless you purchase a founder’s pack. So as of right now you will have to pay between $16.99 – $59.99 to play this Free to Play game unless I am missing something. Go ahead and search Marvel heroes Omega and see what I mean. store might not have updated yet? It should be available in the store currently! The only thing on the store are the various founder packs. Any ETA when I can give the game a shot, I loved it on PC. Bought two packs before release and I’ve been loving t so far. Blade is my favorite character so far. I heard somewhere that you had to buy one of the starter packs to have access to the closed beta. Is the same true for the open beta as well? If not, I can’t find the game’s launcher at all I downloaded the free DD pack though. Thanks . The Open Build is currently available. Probably like when Star Trek Online came out.Takes most of the day. There is a sponsored link but it says content unavailable at this time. “Hello!… mcfly!” Why won’t anyone answer the time it can officials be downloaded in eastern standard time!.. answer would be nice been waiting for this open Berra for a while now. No that can’t be the case because on the trailer it says all for free! I just think like usual it will take all day for the free beta. If you do have to pay then the trailer is false advertisement & I can’t afford it right now. Anyways here to waiting. You would think the people creating the game or Sony would take us out of our misery and just answer the question. Man I really hope that’s not the case here. If it is i’ll just have to wait til the game drops..oh well. buying a pack for an open beta much less a free to play makes no sense. No open beta for asia region? Man I really hope that’s not the case here. If it is i’ll just have to wait til the game drops..oh well. Try around 2 Pacific, 11 eastern (I believe ). Just noticing that time on games doing maintenance which normally are done in morning. Also noted the Daredevil stuff is down. So probably just a snag. It does happen. My question now, is characters like Wolverine avaible for free, or at least by themselves so you don’t need tp pay 60 bucks to play him. Thank you pyrablack. See you all there!… wait! Is this game online co-op or just couch play co-op? Anyway…, finally! here I come. Enjoy everyone. Ben waiting on this for a while I do 3d animation & was going to start a kickstarter to try & bring back x-men legends but this beat me to the punch. Lol! Hope I can use ice-man in the beta! It’s both online and couch co-op….pretty cool, right?? Weird question. When I go to the PS4 store it just shows me founders packs. Is the game available for download yet? Is the game free to own and play or do I have to buy a pack in order to play the game? Either check the free section and click on the sponsored link. Or use search and type in Marvel Heroes Omega. I have a great account on PC. With no cross over this is a ground up grind effort. The graphics are good and the game play is fine. Would have perhaps liked some movie cut scene upgrades, but nova is my favorite character to play on PC and he is on the console version for cheap amount of crystals but I came across some lag especially in areas where players are using a lot of powers overall it’s worth playing. I really like couch co-op more games should really bring that kind of game play back. The fact the whole team-up addition to the Pc version is not on the console version is a big let down. I like the look of it. But the controls are quite stiff. And a jump button, a better camera angle or at least an adjustable camera view would be nice. Then this game would be perfection. Hopefully they will add these functions in the future. Its not bad but unless the shards to unlock new characters drop a lot more often at endgame the in game unlocks are insanely overpriced. It starts you with enough to unlock one, but your second one costs you a week or more of farming to unlock 20-30 shards for an evenings play, and you need 500-700 to unlock a new hero? !